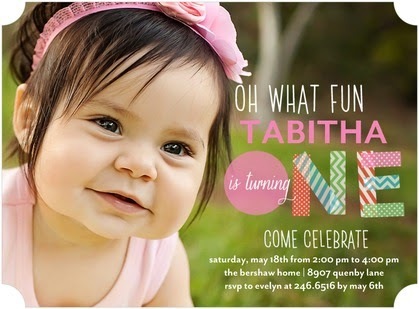 Drew's first birthday is right around the corner and of course, I am already planning her party. It's important to me that her special day be a reflection of the things she enjoys most. We have quickly learned already this summer, that Drew loves to be in the pool. Whether it be her baby pool or her Grandma and Grandpa's big pool. She also loves sweets. If you give her a sweet before a real meal, there is no chance she's going to eat. She's going to be saying "umm, umm!" In other words, "give me back that cookie!" 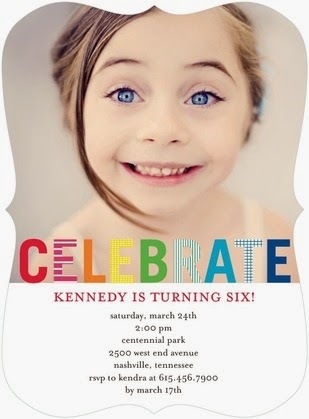 I can't wait to post about how her party comes together! 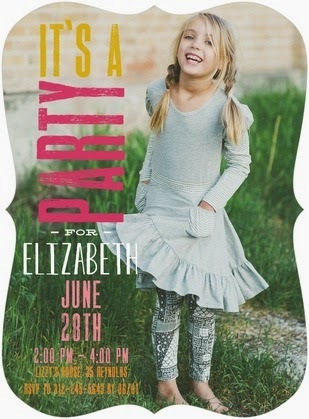 I am really excited after browsing the countless invitations at Tiny Prints. There are just too many to choose from. 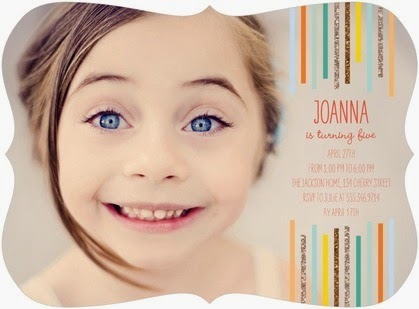 I'm pretty certain I want to use a card that showcases the colorful pictures we had made of Drew at her 9 month shoot. 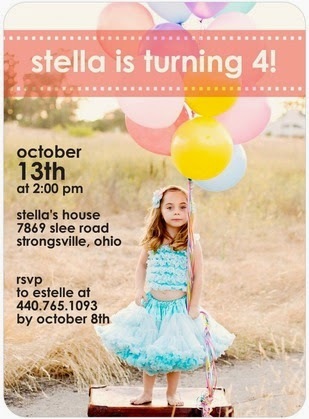 Cool how this invite showcases the hallmark months of her first year. 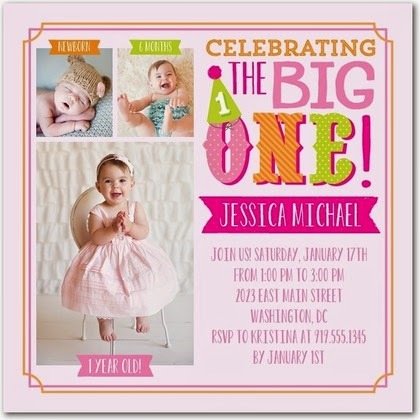 What better than invites that give you lots of color to build your theme around? 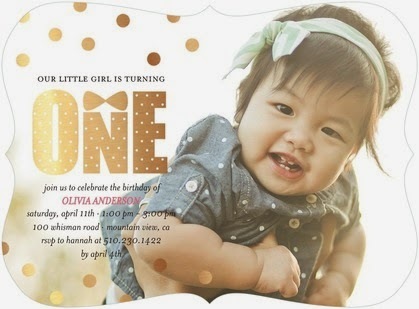 Gold is super trendy right now and I could so see myself throwing in spots of gold throughout her party. 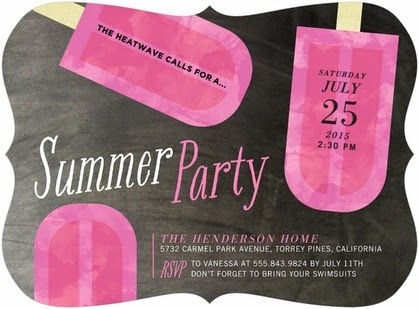 Then there is the option to edit this super fun "summer party invite" and turn it into a birthday invitation. Tiny Prints will let you do that! 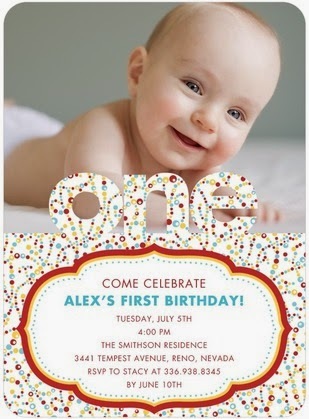 If I had it my way, I would pick multiple invitations and everyone would get a different version. Can't wait to update on how the party comes together!